Your family and doctors will be able to have access to an app that records whether you are taking your medication; highly invasive or ingenious science? New technology on the market comes in the form of a "digital pill", which is attempting to revolutionize mental health treatment, and has been approved for the first time by Food and Drug Administration (FDA) in the U.
S. Research continues into medication that is embedded with a sensor which tells doctors when and if patients take their pills. It is called Abilify MyCite. The pill is an ingestible nanosensor – made of copper, silicon and magnesium – that tracks the medicine after you swallow it, sending information as it reacts to your stomach acid to an outside device that stores the data. It passes through your body like anything else. 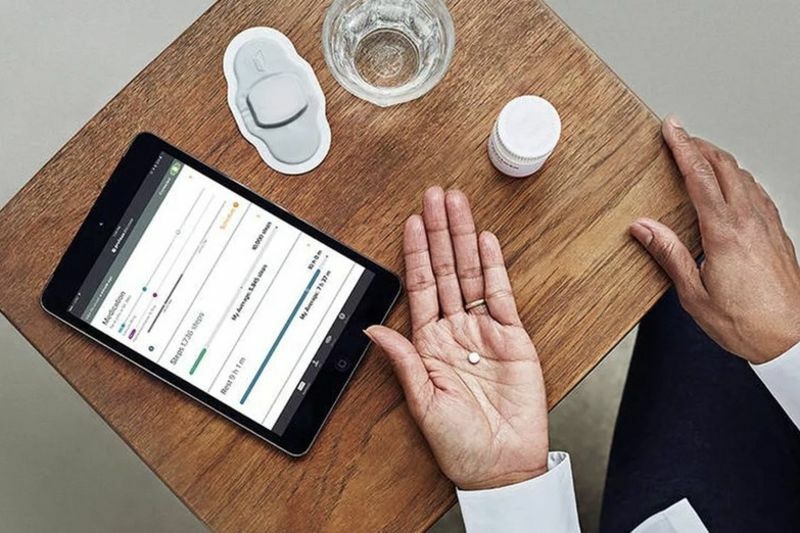 Doctors and health specialists can monitor whether someone is taking medicine on time and in what quantity as the pill sends signals to a patch the patient needs to wear. The person taking the digital pill can choose up to four people, including relatives, to access their data. Via a smartphone app, they can monitor and revoke access at any time. The patient can also input their sleeping and exercise activities into the app. In a recent report by the New York Times, it would be a significant move for researchers attempting to develop technology that monitors medicine intake. It has been estimated that in the U.S. 'noncompliance' with medication can cost around $100 billion a year due to people becoming ill as they do not take their medicin thus requiring more treatment. It is a development by a digital medicine company Proteus Digital Health, which creates the sensor and Japanese pharma film Otsuka. Abilify is currently prescribed to people with schizophrenia and bipolar disorder, as well as other depressive disorders. Experts have spoken about their concern for this grouping. Peter Kramer, an emeritus professor of psychiatry and human behaviour at Brown University and author of Ordinarily Well: The Case for Antidepressants, told an online source that using this technology in the form of antipsychotics "worries" experts. 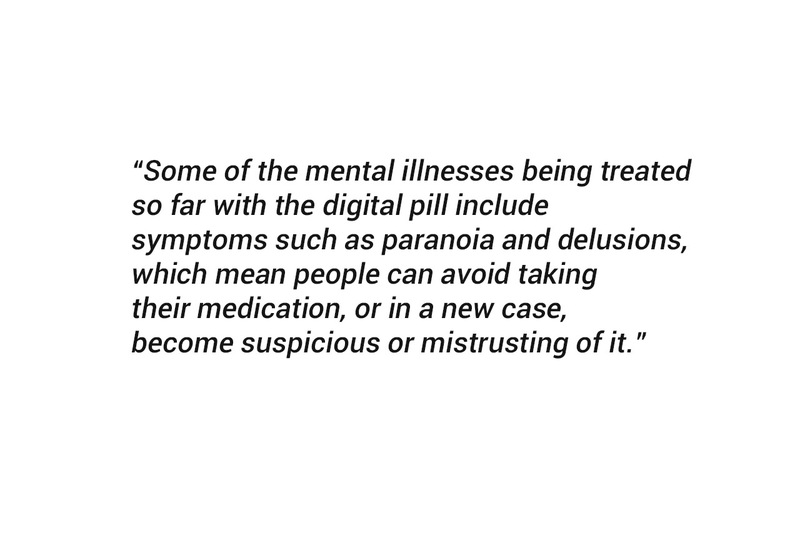 It seems like a bizarre area of illness and disorders to start developing such a thing like the digital pill. "But in the broader sense, the technology is here," Kramer says. "And, as a doctor, I see an upside. Say a patient comes in and says, ‘my antidepressant is no longer working’ – and I consider raising the dose or adding a second medicine. It would be useful to know that the patient had skipped or forgotten a number of doses – so that having the technology might lead to less prescribing, in total." Tracking technology like this could also lead to privacy issues and "Big Brother" implications. Kramer explains: "It’s also likely that courts will take advantage of the technology. Then the medicine will be used coercively – stay on the medicine, or you will have violated parole. Different people may have different views of that likelihood." There are privacy experts that also voiced the concern about the government or private corporations that could use the pill to mine personal information from people. There is also a question of efficacy, Kramer notes, as the FDA notes that no one has run studies to see whether, with monitoring, patients actually do stay on medication longer. And whether it would actually stop people reaching out for medical help. "What if, because monitoring is now possible and because they know that their doctor or relatives will demand it, patients, as they fall ill, choose not to consult a doctor in the first place?" Kramer asks. "What if the experience of patients being monitored is such that it causes them not to report subsequent episodes? The pill may alter interpersonal relations, within families. Your parents are looking over your shoulder again. And so on. The mere existence of the technology may have its downside." Although there are people out there that may want, and need, some level of monitoring, like the elderly or people with disabilities. When it comes to treating mental health, this could be an opportunity to engage on a totally new level when discussing a treatment plan. Otsuka hasn’t set out price guidelines for the pill yet. Kramer adds: "Both individuals and the system as a whole will pay for these meds. How much benefit is added, at what cost?" While embedding digital technology in medications does open up many intriguing treatment avenues, it does raise privacy concerns as well. 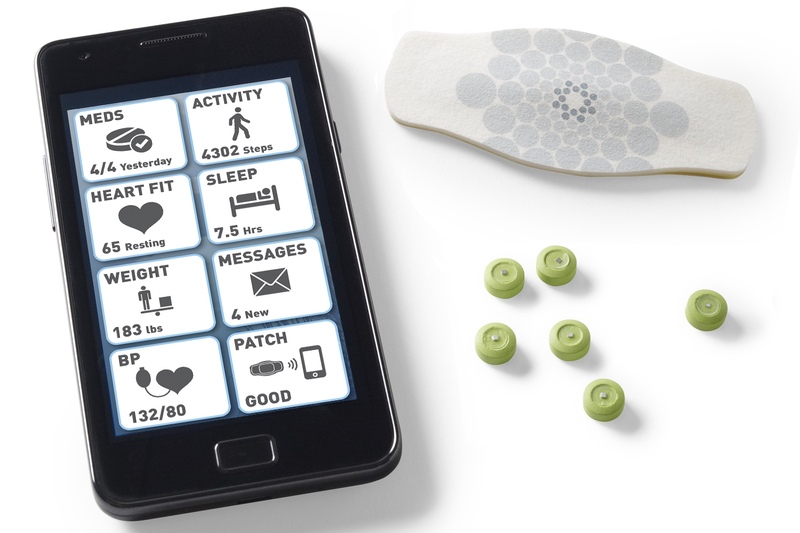 Who knows what else a sensor in a pill could eventually track and how this data may be used? Will we see the day that an advertisement appears on your homepage saying, "now that the pill has reached your liver, would you consider buying this?"